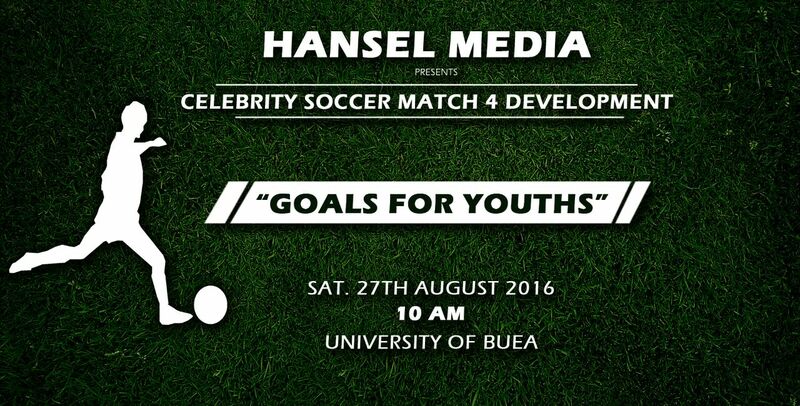 Hansel Media will be organizing a soccer match for development on the 27th of August at the University of Buea stadium. This match is to raise awareness on the difficulties faced by Cameroon youths that hinder their personal and collective growth in the technological, cultural, educational, social and health domains. The match will pit Cameroon entertainers versus Star Veterans, a home based soccer team. Entertainers will have to create a lineup to be announced later and will see a host of dignitaries gracing the event. Interested entertainers should contact the organizers so that provisions are made in time. Any form of support or donations is appreciated. Let’s save the date!